Subscribe to PLUM DREAMS JOURNAL, our new monthly publication filled with timely political dreams revealing uncomfortable truths, proffering guidance for positive social change, and sharing dreams, tips and tools for remembering, understanding, listening to, and expressing you dreams for personal and planetary change. The introductory offer is only $26 for a year (12 issues) of witty and insightful inner wisdom arriving the second Sunday of each month to your email inbox. 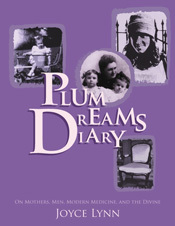 Contact Info@PlumDreams.com or call 415-267-7620 and we’ll set you up with a subscription. Subscribe by sending an email to Info@PlumDreams.com. We will invoice you $26 for 12 issues, so you can pay by credit card or PayPal. If you prefer, send a check payable to Plum Dreams Media to PO Box 682, Mill Valley, California 94942.